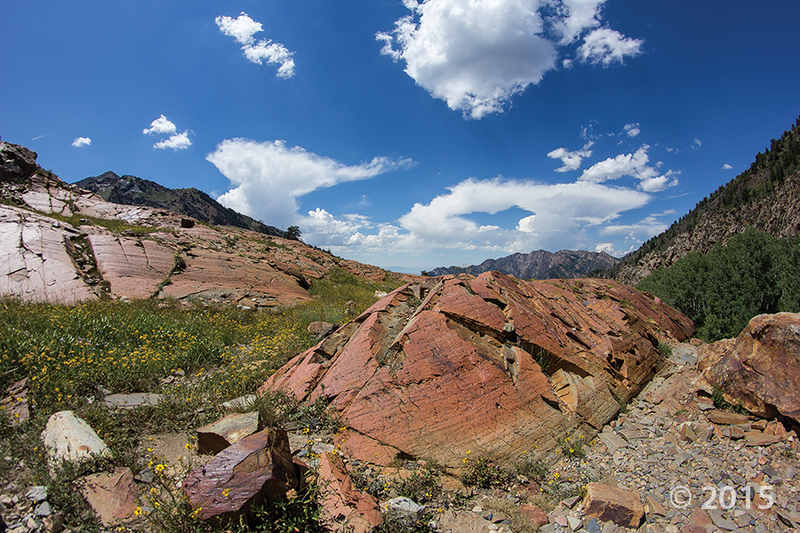 Big and Little Cottonwood Canyons contain some of the most dramatic glacial scenery in the Wasatch Range. 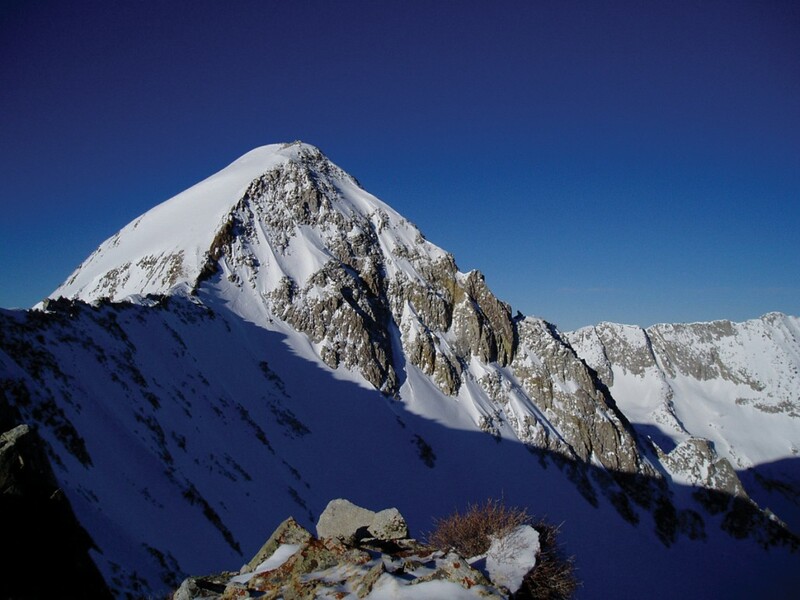 This article highlights some of the numerous and varied glacial features in both canyons. The Cottonwood Canyons and many of their tributaries and high-elevation basins were filled with hundreds of feet of glacial ice between 30,000 and 10,000 years ago. 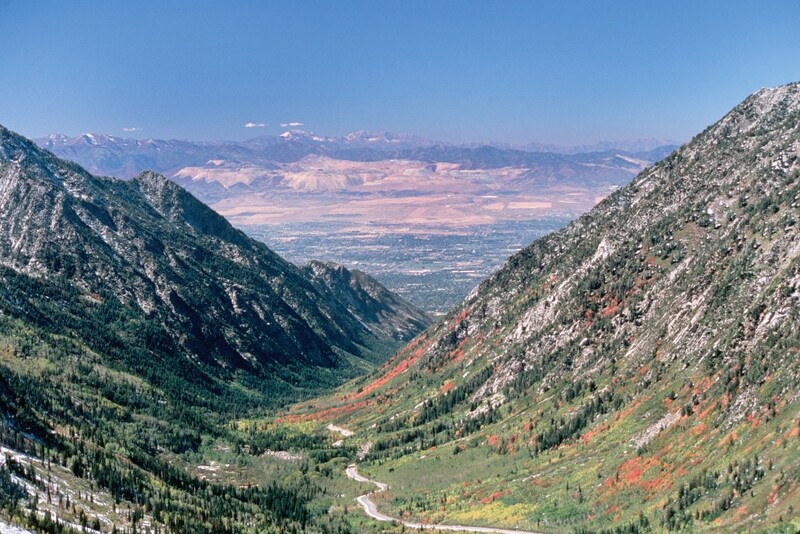 The Little Cottonwood Canyon glacier reached beyond the mouth of the canyon and extended into Lake Bonneville, calving ice bergs into the Ice Age lake. 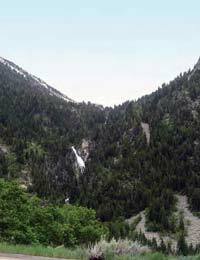 The Big Cottonwood Canyon glacier, however, advanced only about 5 miles down its canyon. Presumably this was due to less snow accumulation in Big Cottonwood’s catchment area. Valley (alpine) glaciers originate at the head of valleys in high mountain ranges and then flow down preexisting stream valleys. They erode and transport considerable amounts of rock debris, enabling them to significantly modify the landscape. Many distinctive erosional and depositional landforms result; however, this article addresses only the more prominent local features. Beautiful granitic rock that has been sculpted by glacial ice in both canyons enhances the spectacular rugged, mountainous scenery. Glaciers pluck and abrade a staggering amount of rock from the canyon walls and floors, which is then carried along with the moving ice. Thus, the hefty mass of rock material and ice perform some serious erosion. The valley bottom and walls are scoured vigorously, creating a deeper and much wider U-shaped canyon—one of the most distinctive valley glacial features. At the head of canyons where glacial ice originates, glaciers carve out amphitheatershaped basins (cirques) partially bounded by high, steep walls. Typically, small lakes (tarns) form in these depressions after the glaciers have retreated. Headward erosion cutting into the sides of a mountain peak by two or more glaciers chisels it into a sharp, often pyramid-shaped peak (horn). 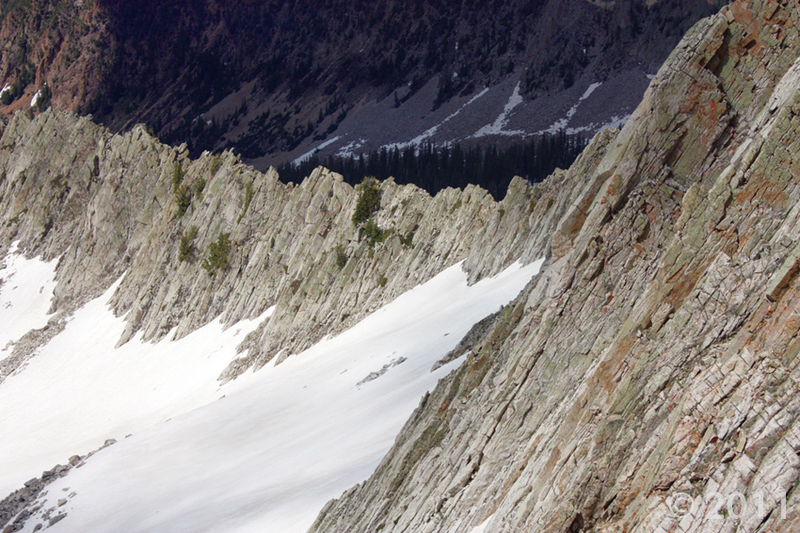 Between two adjacent glacial valleys or cirques, the dividing rock wall is eroded into a serrated, narrow ridge (arête). Where tributary glaciers merge with the main glacier, the glaciers’ surfaces are at the same level. However, the thicker main glacier erodes its canyon floor deeper than the tributaries so that when the glaciers recede, the floors of the tributaries are higher than the floor of the main valley —hanging above the deeper main canyon (hanging valleys). Rock fragments embedded in the base of a glacier will carve multiple, parallel linear grooves into underlying bedrock (glacial striations) and clearly show the direction of glacier flow. 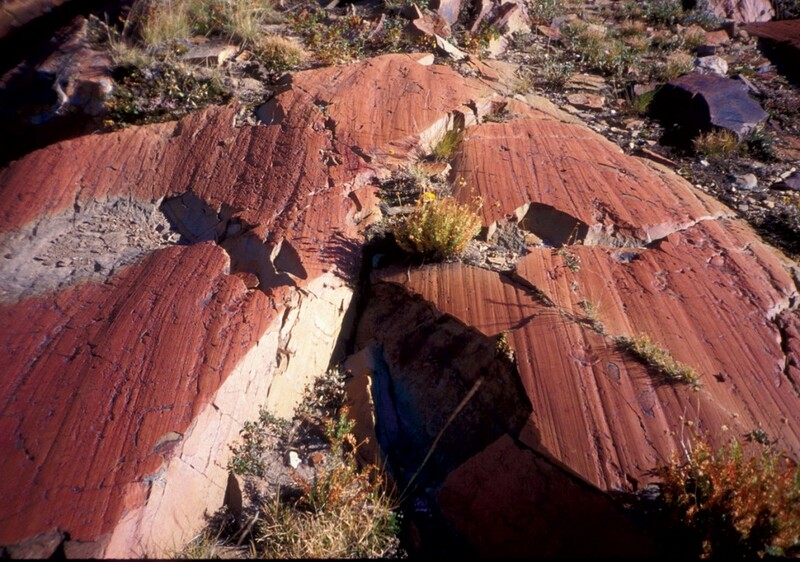 Striations are abundant in both canyons, although most are not close to the roads. 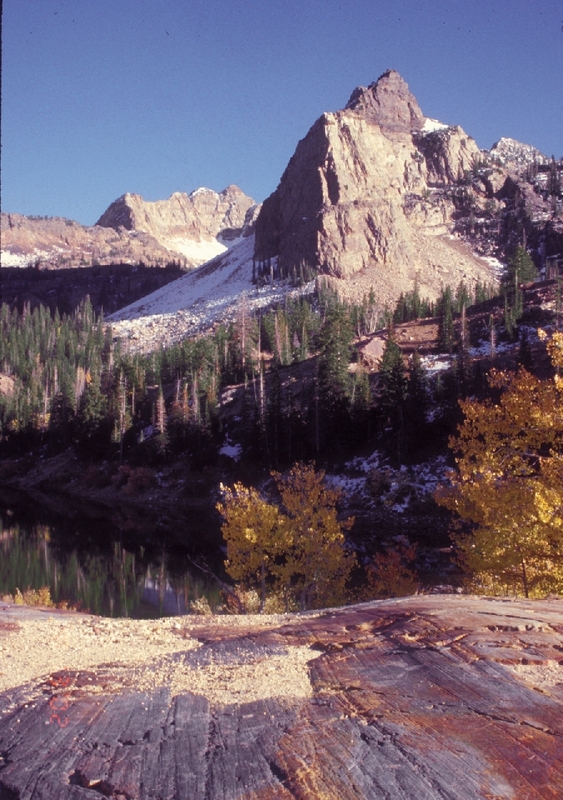 Several good places to see these features are around Cecret Lake at the head of Little Cottonwood Canyon in Albion Basin and around Lake Blanche in a tributary of Big Cottonwood Canyon. Glaciers deposit a chaotic mixture of clay, silt, sand, gravel, and boulders ranging widely in size and shape (glacial till). At the end of a glacier where melting dominates, the till is usually deposited in the form of a ridge (end moraine); a terminal moraine is the outermost end moraine marking the glacier’s farthest point of advance. 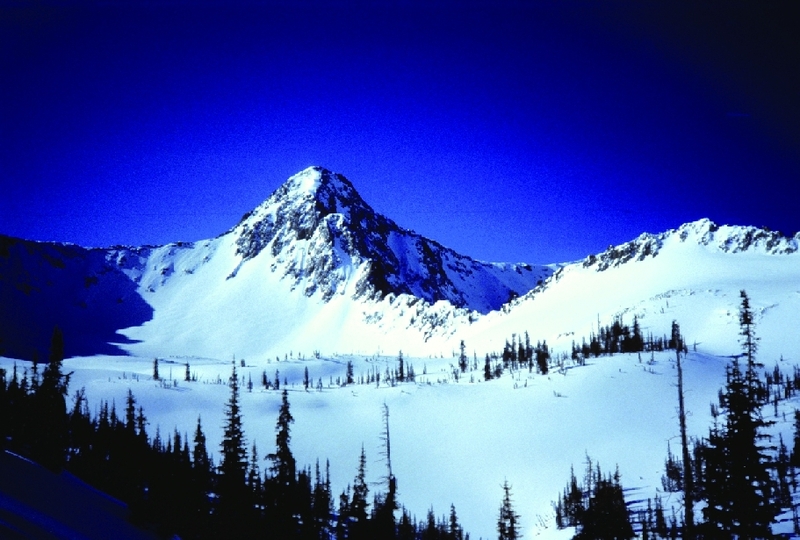 Similar ridge-like landforms are created along the sides of a glacier (lateral moraines). Rocks, including house-size boulders that are carried by glacial ice, may be deposited far from their source (glacial erratics). Erratics are often found scattered on top of different bedrock than what they originated from. 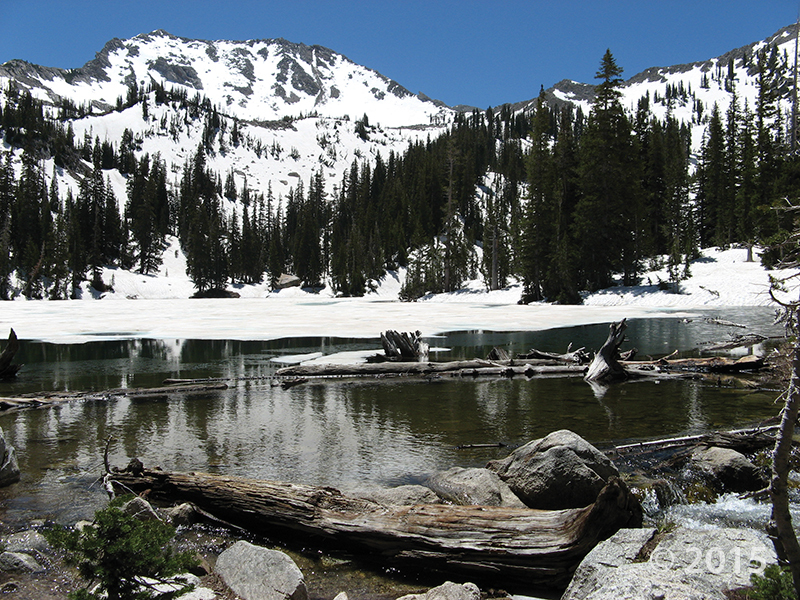 The Big Cottonwood Canyon glacier reached only about 5 miles down the canyon where it abruptly ended. The lower 9 miles of the canyon are narrow and very twisty, which is a characteristic result of stream erosion. At mile 9.0 (Reynolds Flat), the canyon suddenly widens and straightens, clear evidence that glaciers occupied the canyon from this point on up the canyon. The main glacier ranged in depth from 500 to 800 feet. Glacial tributaries (side canyons) add to the alpine scenery that now dominates. The first example is to the south where the U-shaped Mill D South Fork tributary leads up to a sharp, jagged ridgeline. This tributary glacier met the Big Cottonwood glacier at Reynolds Flat where they both stalled and did not advance below the tributary’s terminal moraine here. Along the upper canyon are moraines (including a one-mile-long lateral moraine that is an aspen-covered 280-foot-high ridge, along the northeast side of the road below Brighton) and scattered white-colored granitic glacial erratics. 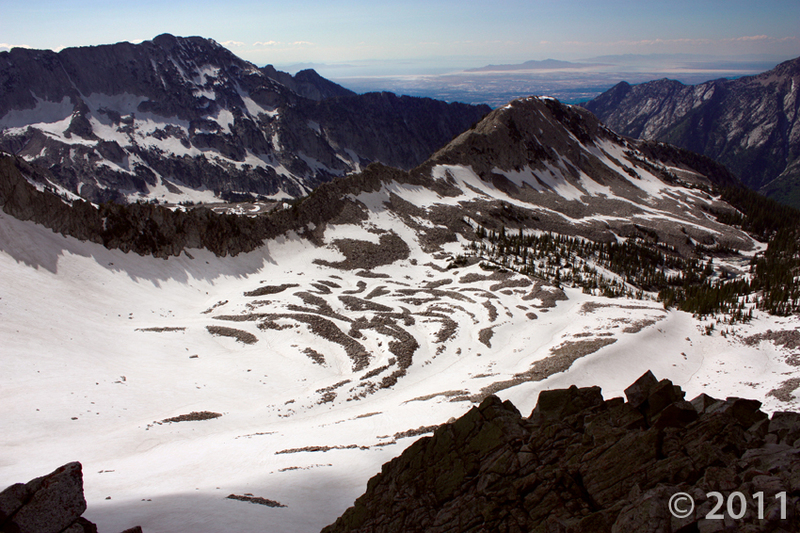 The Little Cottonwood Canyon glacier was the longest (12 miles) glacier in the Wasatch Range, extending beyond the canyon mouth and entering Lake Bonneville. The glacier ranged in depth from about 450 to 850 feet. 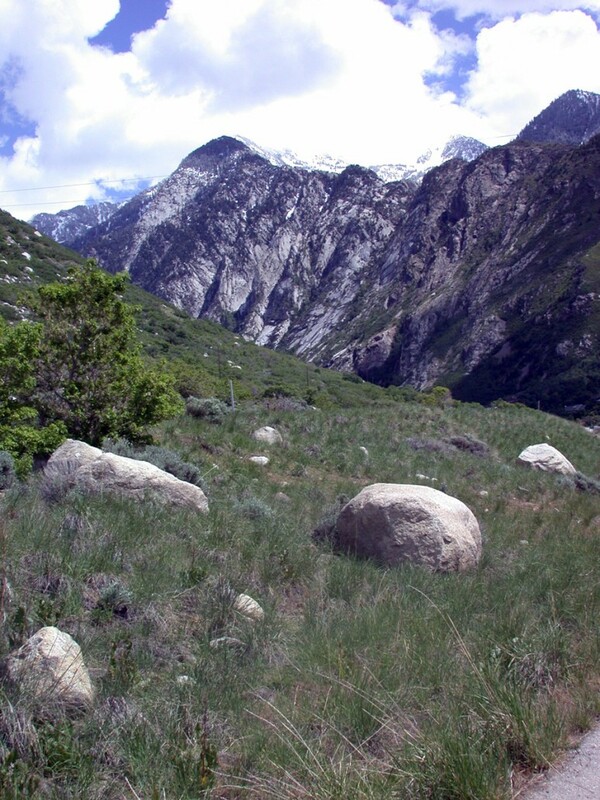 The first most obvious glacial feature is Little Cottonwood Canyon’s world-class U-shaped valley. A photo and description of observable features at the canyon mouth are in “Utah’s Glacial Geology” in this issue of Survey Notes. Also, see the G.K. Gilbert Geologic View Park GeoSight, which describes the park just to the west of the canyon mouth. Hanging valleys, often displaying scenic waterfalls, begin to appear within several miles on the south side of the canyon. Other glacial features in the canyon include moraine remnants and glacial erratics. 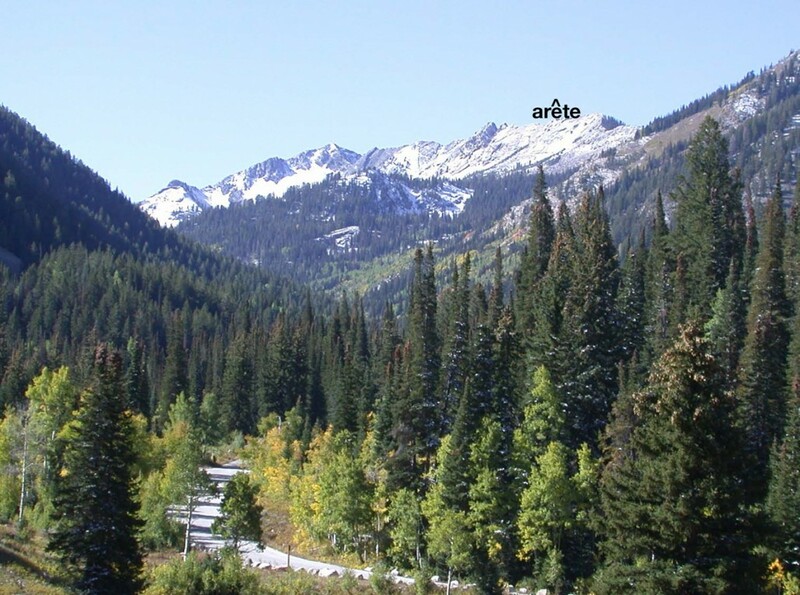 Also, cirques, arêtes, and horns can be seen up the glacial tributaries on the canyon’s south side and near Albion Basin (accessible by vehicles in the summer) above Alta at the head of the canyon. 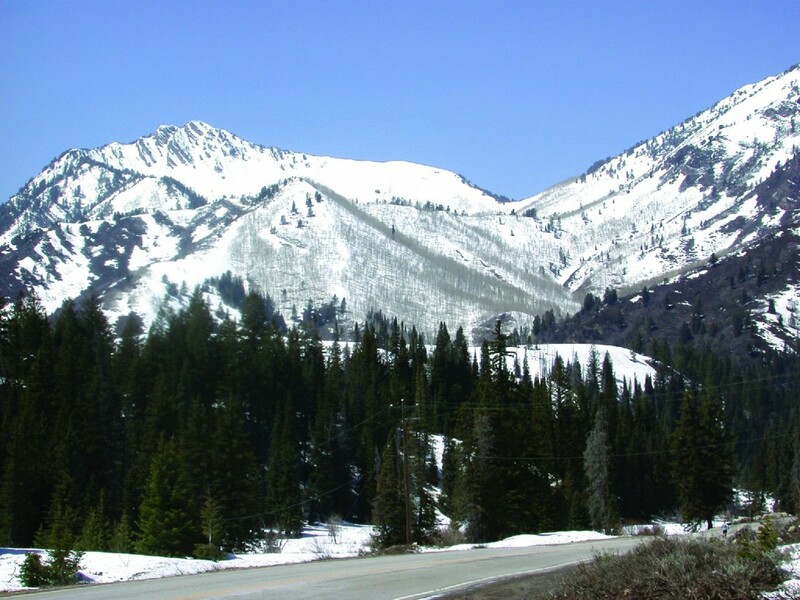 For additional information and more detailed maps about the Cottonwood Canyons, see our Geologic Guide to the Central Wasatch Front Canyons. From Salt Lake City, take exit #304 from I-15 onto eastbound I-80, and after 5 miles bear right at exit #128 onto southbound I-215. Travel 5.9 miles, take exit #6 at 6200 South and turn left (east). Within 1 mile the road becomes Wasatch Boulevard near a gravel pit. Travel 1 more mile to a stoplight. Go left to enter Big Cottonwood Canyon, or continue straight (south) to go to Little Cottonwood Canyon. From the mouth of Big Cottonwood Canyon, head south on Wasatch Boulevard 2.1 miles to a stoplight. Continue straight for over 1 mile on UT-210 to the mouth of Little Cottonwood Canyon.